Endeva’s mission is to inspire and enable enterprise solutions for development. As an independent institute, they work closely with partners from all sectors, including development agencies, foundations, universities, and companies both large and small. Together with their partners, they build, share and apply knowledge about how to develop and implement inclusive business models. Endeva was founded in September 2010 as a successor to the “Emergia Institute”, which targeted inclusive business development. 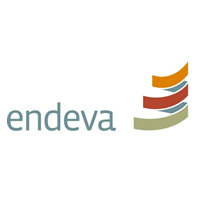 Building on this experience, Endeva draws upon a carefully cultivated global network of experts when carrying out projects with partners from the public, private and non-profit sectors. The results of these efforts have been incorporated into our diverse set of activities, which include the BoP Learning Lab in Germany and publications such as the “Inclusive Business Guide”, “Creating Value for All — Strategies for Doing Business with the Poor” (published by the UNDP)., or “Towards Triple Impact — Toolbox for Analyzing Sustainable Ventures in Developing Countries” (published by the UNEP). Areas of expertise include the insurance, energy and pharmaceutical sectors, the role of donors and emerging market multinationals for inclusive business, and the interface of environmental sustainability, poverty alleviation and business innovation, e.g. with regards to climate change. Christina Gradl is an expert on inclusive business. She is a founder and director of Endeva, an independent research and consulting institute working towards enterprise solutions for development. She is also a strategic advisor to the UNDP Growing Inclusive Markets Initiative and a Research Fellow at the CSR Initiative of the Harvard Kennedy School. Christina co-authored numerous publications on inclusive business. With UNDP, she developed “Creating Value for All – Strategies for Doing Business with the Poor” and “The MDGs – Everyone’s Business”. She also co-authored Endeva’s “Inclusive Business Guide”, the practitioners’ guide “Energize the BoP. Energy Business Model Generator for Low-inocme Markets” and Bertelsmann Stiftung’s “Partners in Development – How Donors Can Better Engage the Private Sector for Development in LDCs”.Currently, Christina completes a PhD in economics. 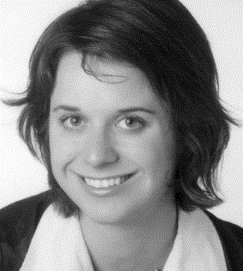 She holds an MSc in Philosophy of Public Policy from London School of Economics and a Master’s degree in International Business and Regional Studies from the University of Passau, Germany. She was the Kofi-Annan-Fellow on Global Governance 2006/07 and an associate with McKinsey & Company.